Selling a Home in the Arlington MA Area? Most people at some point in their lives will go through the experience of selling a home. Whether you’re selling a big home, small home, beautiful home, quaint home, studio, condo or multi-family… whether you’re upgrading, downgrading, starting out, or starting over – you’ve come to the right place. Steve McKenna is Arlington, Massachusetts’ #1 real estate agent and #1 real estate team. 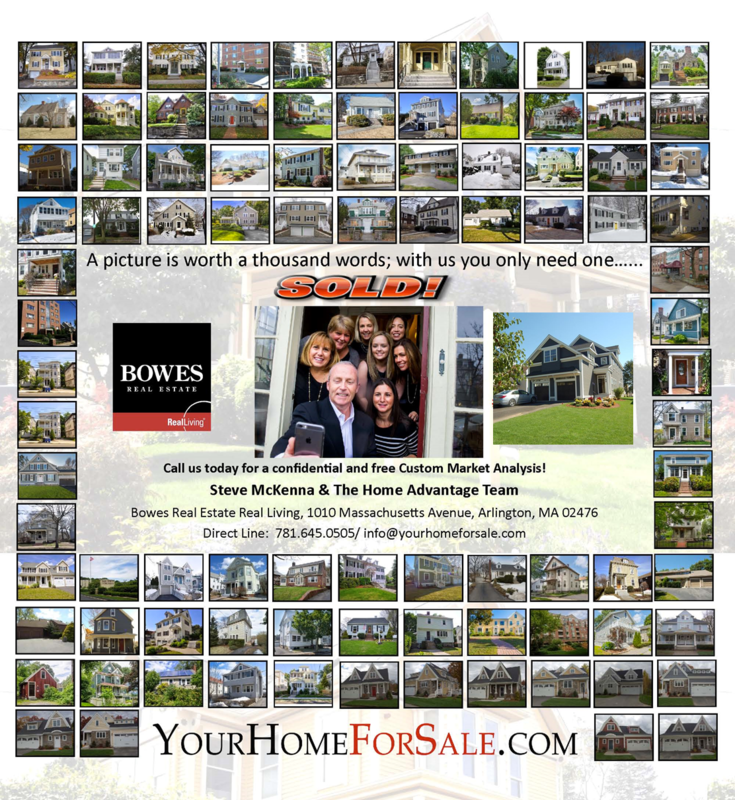 We have sold more homes than anyone else in Arlington, MA and continually provide Premier Service. Time and again our clients refer us to their friends and family, and our testimonials speak volumes to the trust and confidence our clients place with us. When selling your home, you want to know what exactly needs to happen when - when to have the first open house, when to have it photo ready, when to start cleaning it out – and we handle the process every step of the way. We taking out the guesswork and stress, and pave the way for a smooth and successful transaction. We have a strong connection to the community, and relationships with trusted vendors and contractors to help you out -- movers, cleaners, stagers, storage, handyman, mortgage brokers, lawyers, etc. Our local expertise, years of experience, and community connections is your home's advantage. We guarantee personal, professional and ethical service while maintaining the confidentiality you want and deserve. Contact Steve today for a free and confidential Custom Market Analysis.